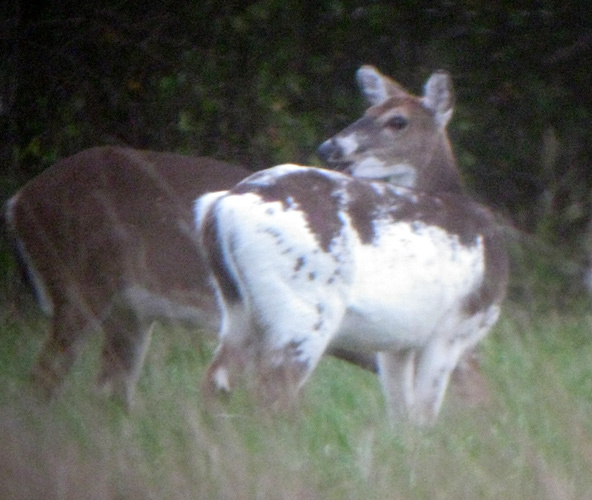 I saw a group of white-tailed deer near Pomona, New Jersey, on October 6th, 2010. I was confused at first because I thought I was seeing a goat, but then I realized it was a mostly white deer. I stopped and was able to get some decent pictures, although the light was fading. I saw this individual again a week or so later.